Cat-to-cat aggression is a common problem and there are a range of reasons why it can happen. Fortunately, there are also some things you can do to bring peace into your home. If you have numerous cats in your home, it is important to understand the “pecking order”. Cats don’t have the usual linear arrangement. There is always a top cat, then middle cats who share the same rank, and a bottom cat if you have that many. The middle cats tend to squabble the most. A good way to reduce bullying is to provide separate spaces and hiding holes for each cat and to feed them separately. You might also need to separate the bully from its targets sometimes to give them a break. If the problem is severe, your vet can give the dominant cat medication to calm it down. If one or more cats has become extremely fearful, your vet may be able to help with that too. Kittens are most likely to play fight. Theories suggest that it helps kittens to strengthen their muscles, develop eye-muscle coordination and learn gentle social play. Then about the time they reach 6 to 10 months, the interactive play with litter-mates becomes rougher and often ends with aggression. Over time the aggression becomes more intense and longer. Eventually, the litter disperses. This is natural behavior and often upsets owners to see their darlings getting rough with each other. Eventually they should learn to tolerate each other. As above, ensure they each have their own spaces and places to sleep. When a new kitten is introduced to a mature, resident cat, the older cat may react aggressively. In general, the older the cat, the more likely it will show this behavior when another cat is introduced. The social kitten often continues to approach the older cat and it responds with frequent hissing, growling and swatting at the youngster. When you introduce a new cat into a household, you should aim for mutual tolerance, rather than great friendship. The retaliatory aggression can be minimized by putting the new cat in a room by itself for a few days. You can use a towel to rub the resident cat first, then the new cat, then the resident cat, then the new cat, to help transfer odors. Eventually you open the door and allow the two cats to find each other. The room should now be a territory for the introduced cat and can serve as a safe haven when needed. If the new cat is still a kitten, it can take several months for it to stop approaching the older cat, so opportunities for interaction should be kept to a minimum. It’s a good idea to check if your cat is in pain, particularly if he or she has only recently become aggressive. We can all get grumpy when we have a headache or backache. This should be checked by your vet. It’s also worth speaking to your vet if cat fighting is ongoing and getting out of hand. Jenny is a cat lover and webmaster of http://www.great-pictures-of-cats.com. 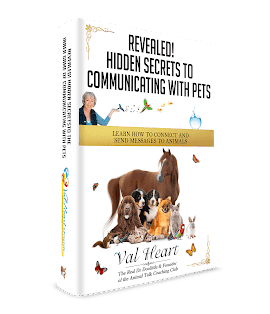 You are welcome to reproduce this article on your pet or family related web site, as long as you reproduce the article in full, including this resource box and link to her website featuring photo and video galleries of beautiful cats.